Well at least we're learning the lingo - a nip is one finger and a dram is two. A single malt is a whiskey made in one distillery unlike a blend which could come from 2 or more. And if you're having it before noon you're having a 'morning'. We had a morning yesterday because it was before noon when we travelled up some pretty narrow, windy paths to get to the Glenlivet distillery. We got a pretty good overview of the whole distilling process and a nice little nip at the end. Some of this terminology we also learned from a Scottish gentleman we met at lunch. Surprisingly he has travelled the entire route Alexander MacKenzie travelled all the way to Bella Coola. He worked in Inuvik and Tuktoyaktuk and wrote documentaries for the BBC. Very interesting fellow and very helpful when it came to informing us about Scottish ways. 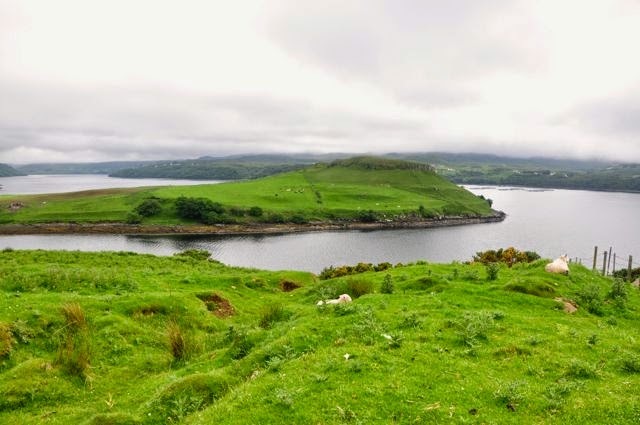 He also convinced us that we HAD to see the Isle of Skye. 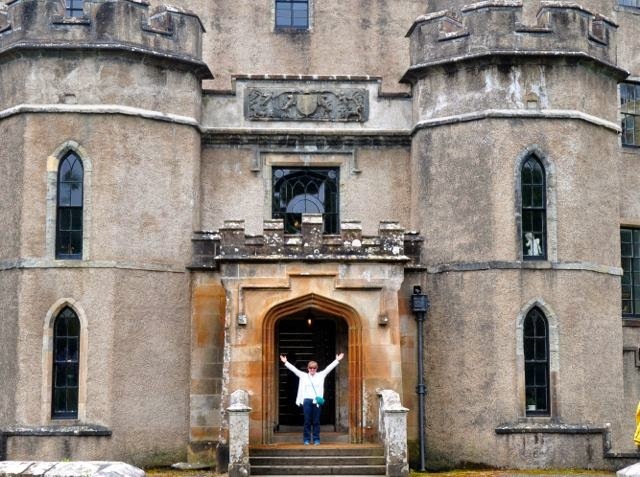 Dunvegan Castle has been the ancestral home of the Chiefs of Clan McLeod for over 800 years so I felt that I owned a small piece of it. It's not a very pretty castle, more utilitarian I think, but the grounds have some beautiful gardens. Even with a bit of mist and rain the Isle of Skye couldn't hide its beauty. Plenty of sheep, green, water, rock bridges. I had a bit of a moment when I was taking this picture - my lens cap dropped over the fence and rolled just out of reach. I had to do some agile maneuvering over the fence and back to retrieve it. Sorry I didn't actually purchase these potato chips (crisps) pictured below - I'll just have to imagine what they taste like. 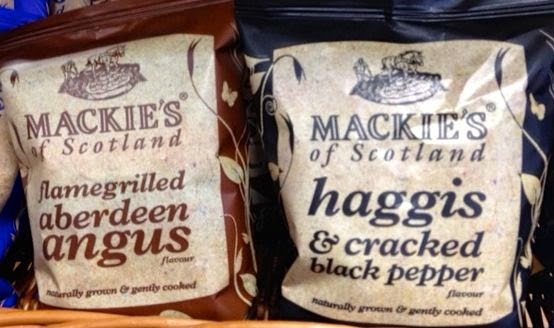 the haggis ones are quite good. Do you want me to bring you back some?